Birthday party favors are a fun addition to a party, no matter the age of the person. They add a little bit of fun to the festivities, and everyone gets to take home a present! 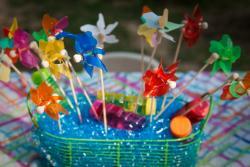 There are many, many possibilities for birthday favors for kids. From coloring books to small toys, baked treats to stickers, the sky is the limit when it comes to birthday party favors for kids. The main thing to remember when you're picking favors for a kids birthday party is to stick within your budget, which should be low. Kids have a tendency to break things pretty easily, so you don't want to spend a lot of money or toys or games that are going to break, come up with missing pieces, etc. If you want to give kids an edible party favor, make sure you check with the parents of all the kids before doing so. These days you can't be too careful about food allergies, sensitivities or just things that people don't let their kids eat. You don't want to offend or anger a parent by giving their child something they would never let them have at home. There's actually a lot more room for creativity when it comes to birthday party favors from grown ups. For one thing, adult birthday parties are usually smaller so you can spend a little more money on the favors. Another great thing about birthday party favors for adults is that they can be a little more sophisticated and thoughtful in your choices. It's great when you can match your party theme and your party favors so that the whole party seems like it goes together. For a milestone birthday party, for example, it could be fun to go back and revisit something that was popular when the guest of honor was young. Why not give every guest a pet rock, or a hula hoop (and have a spinning contest as part of the entertainment)? Think about popular foods, music, games, entertainment, fashion, even people or things that were big in the news the year your birthday person was born. You can buy Twister keychains, hand out Pop Rocks and soda, or even just burn a commemorative CD for all your guests featuring music your guest of honor would have grooved to at his first sock hop or her senior prom. Then there are some birthday party favors that work well no matter what your party theme. Candles are always appreciated and fun since they are an important part of birthday celebrations. Other traditional gifts like fine soaps (homemade or purchased), chocolate, personalized items like coffee cups, shot glasses, flasks, key chains, even M&Ms with the birthday person's name on the back, are all nice choices for just about any theme (or no theme at all). Most people put their birthday party favors in matching gift bags that might be decorated with some festive tissue paper and curled ribbon. That's fine, but you can also get creative with the packaging by trying different sized boxes, including ones that look like take-out boxes, cellophane bags, little baskets, or anything else that strikes your fancy. 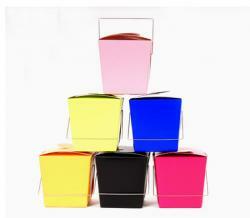 A good party store will have a wide selection of boxes and bags in all sorts of colors to fit your needs and your décor. 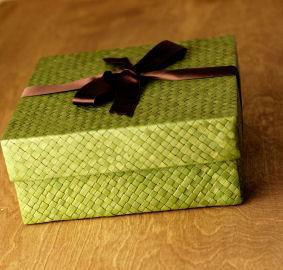 If you want to be a little kinder to the environment, don't wrap or package your birthday party favors at all. 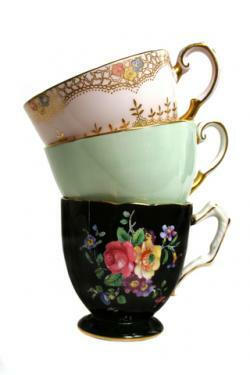 Instead, place them in a large basket or grouped together on a table. Guests will still be excited and you won't be responsible for adding even more junk to the landfill.